Sustainability has become a critical issue, calling for new conceptualizations of both problems and solutions. This special issue of the Nordic Journal of Science and Technology Studies, explore the concept of “Crafting Sustainability”. Sustainability is a hot topic in contemporary scholarly debates, with methodological, theoretical, and conceptual contributions from a wide array of research areas, also from Science and Technology Studies. Craft on the other hand has been less of a focal point, although all humans relate to craft on some level. Roger Andre Søraa is a PhD candidate at the Department of Interdisciplinary Studies of Culture at the Norwegian University of Science and Technology. Abbott, Andrew. 1988. The System of Professions. Chicago: University of Chicago Press. Adamson, G. 2007. Thinking through craft (Vol. 159). Oxford: Berg. Beer, T. & Santin, C.H. 2017. 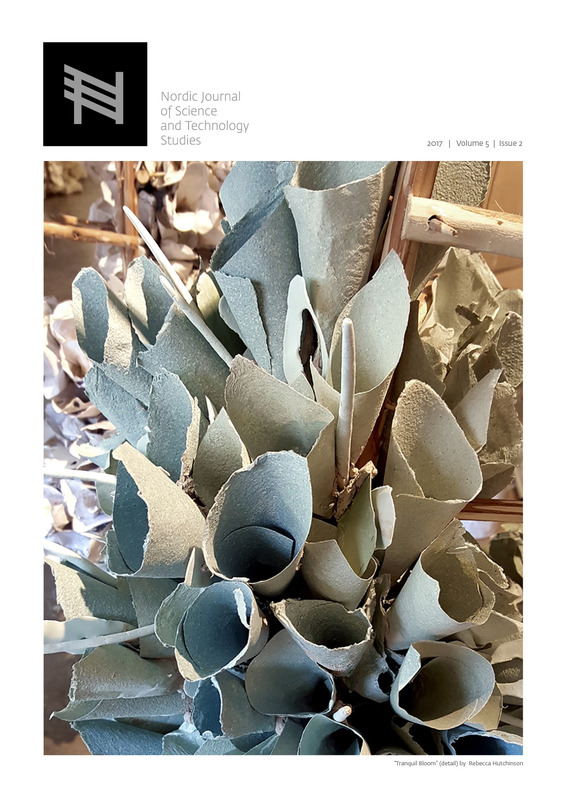 Refugium WA: crafting connection through plant-relating arts-science experiences of urban ecology. Nordic Journal of Science and Technology Studies. 5(2). Berardi, U. 2013. Clarifying the new interpretations of the concept of sustainable building. Sustainable Cities and Society, 8, 72-78. Brundtland, G. H. 1987. Report of the World Commission on environment and development:" our common future.". United Nations. Du Plessis, C., & Brandon, P. 2015. An ecological worldview as basis for a regenerative sustainability paradigm for the built environment. Journal of Cleaner Production, 109, 53-61. Fyhn, H. & Søraa, R.A. 2017. Craftsmanship in the Machine – Sustainability through new roles in the crafts of building. Nordic Journal of Science and Technology Studies. 5(2). Fujimura, J. H. 1996. Crafting science: A sociohistory of the quest for the genetics of cancer. Harvard University Press. Hofverberg, H. Kronlid, D.O. & Östman, L. 2017. Crafting sustainability? An explorative study of craft in three countercultures as a learning path for the future. Nordic Journal of Science and Technology Studies. 5(2). Hutchinson, R. (2017) Sustainability and Craft. Opinion piece. Nordic Journal of Science and Technology Studies. 5(2). Janda, K.B. (2017) Crafting sustainability in iconic skyscrapers: a system of building professions in transition?. Nordic Journal of Science and Technology Studies 5(2). Kettley, S. (2016). Designing with smart textiles (Vol. 56). Bloomsbury Publishing. Latour, B. (1983). Give me a laboratory and I will raise the world. Science observed, 141, 170. Owen, A. (2017) Roles and forms of networks in craft micro-enterprise contributions to sustainability. Nordic Journal of Science and Technology Studies. 5(2). Pye, D. (1968). The nature and art of workmanship. Cambridge UP. Sennett, R. (2008). The craftsman. Yale University Press. Sørensen, K. H. (Ed.). (1998). The spectre of participation: Technology and work in a welfare state. Scandinavian University Press. Tesfaye, Mathias. (2013). Kloge hænder; et forsvar for håndværk og faglighed. Viborg: Gyldendal. Woods, R. & Korsnes, M. (2017) Constructing Zero Emission Houses: Changing Craftsmanship or a Lot More of the Same?. Nordic Journal of Science and Technology Studies. 5(2).